The Northern Illinois cross country team will open its 2010 season this weekend when the Huskies travel to Madison, Wis., to take on some of the nation’s top competitors at the Badger Classic hosted by Wisconsin. The Huskies first race of the season will kick-off today at the Zimmer Cross Country Course. One of eight teams competing, NIU will go up against Wisconsin, who is ranked 26th in the nation and third in NCAA Great Lakes Region, Northwestern, Marquette, Edgewood, Lewis, North Central and the Wisconsin Track Club. NIU returns 12 runners from the 2009 squad that saw its best finish at the Mid-American Conference Championships since the 1981 season. Northern Illinois will enter the season after posting an eighth-place finish at the MAC Championships. NIU will look to the veterans to lead them through competition and McConeghey feels seniors Sunsea Shaw and Breanna Brevitt and sophomore Courtney Oldenburg will stand out as leaders among the Huskies this season. 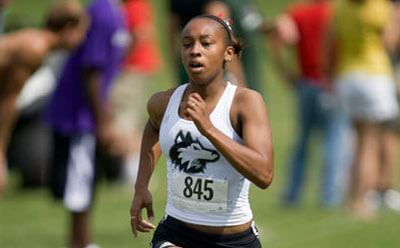 In her second season with NIU, Oldenburg is a key returning Huskie for the cross country team. Oldenburg had a standout freshman season, finishing first for the Huskies at every regular-season competition in 2009. Oldenburg will join Shaw and Brevitt who will draw upon their experience over the past three years to lead the team. The Huskies also welcome seven fresh faces to their team. Newcomers Alexis Capps, Lindsay DeReadt, Nora Ferguson, Kelsi Frank, Katie Janssen, Claire McAuley and Rebecca Siebens are all looking to have an impact on the Northern Illinois team. For more information on NIU cross country and Huskie athletics, visit www.niuhuskies.com.